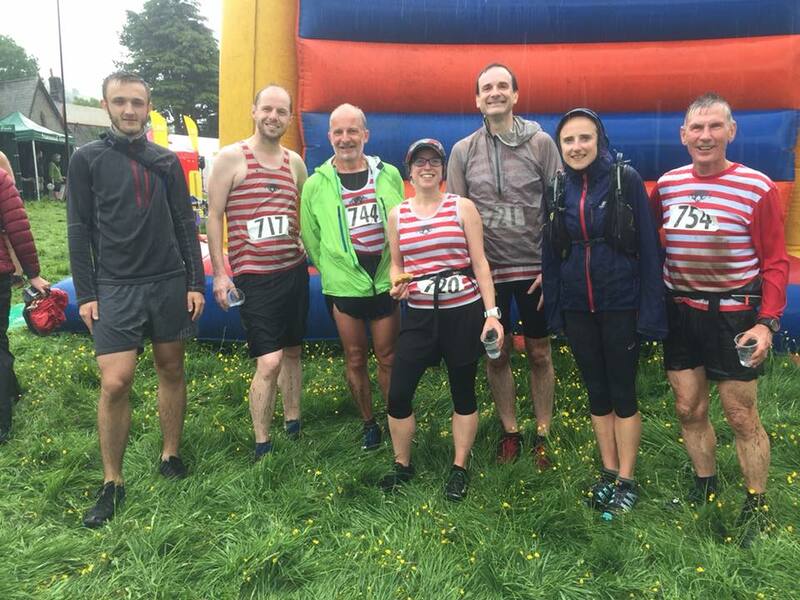 Saturday 16th June, CVFR ladies showed they were made of winning stuff at Buckden Pike – a Category A fell race comprising 6km & 486m ascent, which this year featured particularly dreadful weather, including hailstones of Biblical proportions. Despite this, over 60 individuals turned out to race, & CVFR’s women put in a strong performance with Helen Buchan first female V40 & Charlotte Wetton first female V35. Catherine Holden’s coming in second woman in the Vet 40 category sealed the deal for the red & white hoops, & saw them also take the overall ladies team prize. For the men, Martin Howard once again ran well, finishing in overall 6th place in 40:08 & Paul Haigh put in a strong personal performance to place overall 11th & second in the men’s Vet 40 age category. some of the CVFR competitors post race. Bofra’s Kettlewell on Sunday 17th June may only be 1.4 miles, but it packs a punch for the distance: with an incredibly steep 600ft slippery of ascent, following by an even more treacherous final descent. In the end, only a few blades of grass separated many of the 98 competitors, with Toby Cottrill fighting all the way to the finish line to be the first red & white hooped runner home (15th place in 14:08). Fellow CVFR, Stephen Smithies was hot on his heels (runners 15-20 finished within five seconds of each other), placing 18th overall & winning the men’s Vet 50 age category. For the juniors, it was equally tight at the finish. In the U14s, 10 seconds made the difference between 8th & 12th place, with CVFR James Duffy finishing a respectable 12th in 11:17. 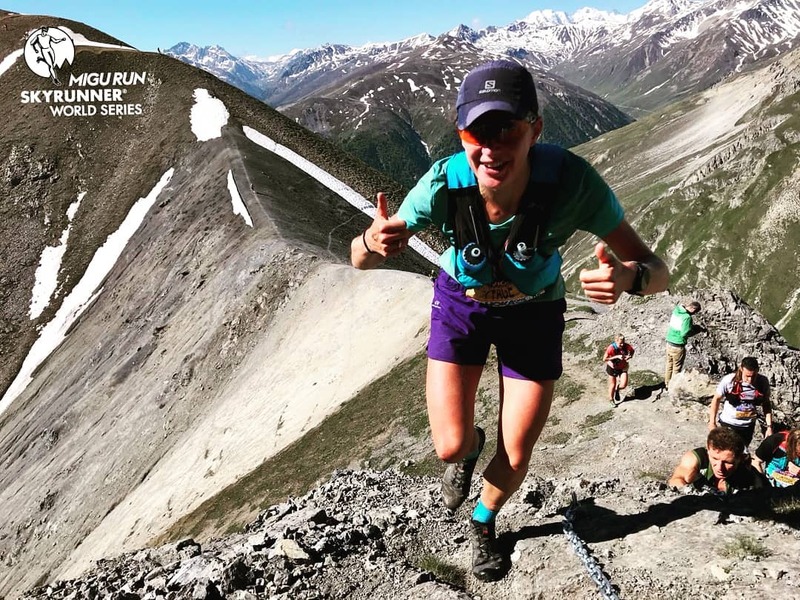 Saturday 16th June also saw Calder Valley’s Holly Page once more competing internationally in the 5th race in the 17th Migurun Skyrunner World Series – a series of extreme races which all take place at above 2,000 metres (6,600ft), with an incline exceeding 30%. This week saw runners compete in the 34km (2,700m of vertical climb) Livango race on the Italian-Swiss border – Page finished a very respectable 5th place in a strong women’s field with an outstanding time of 4h 24 minutes & 23 seconds. After the race, the England international runner commented that whilst it had been ‘tough’ going, she had nonetheless ‘loved’ ‘running through the snow’ and ‘along the awesome ridges’ – she feels it is a ‘privilege’ to be able to not only race but also be able to ‘admire the stunning mountains all around’, which serve to not only make her ‘happy’ but also to ‘wake up’ the competitor in her – as can be seen by the current statistics: a relatively unknown quantity going into the series, Page is currently 2nd woman in Classic category & 3rd overall woman – a full 57 points ahead of the female runner in 4th place) – a strong position going into next Saturday’s Monte Rosa SkyMarathon (Europe’s highest race).